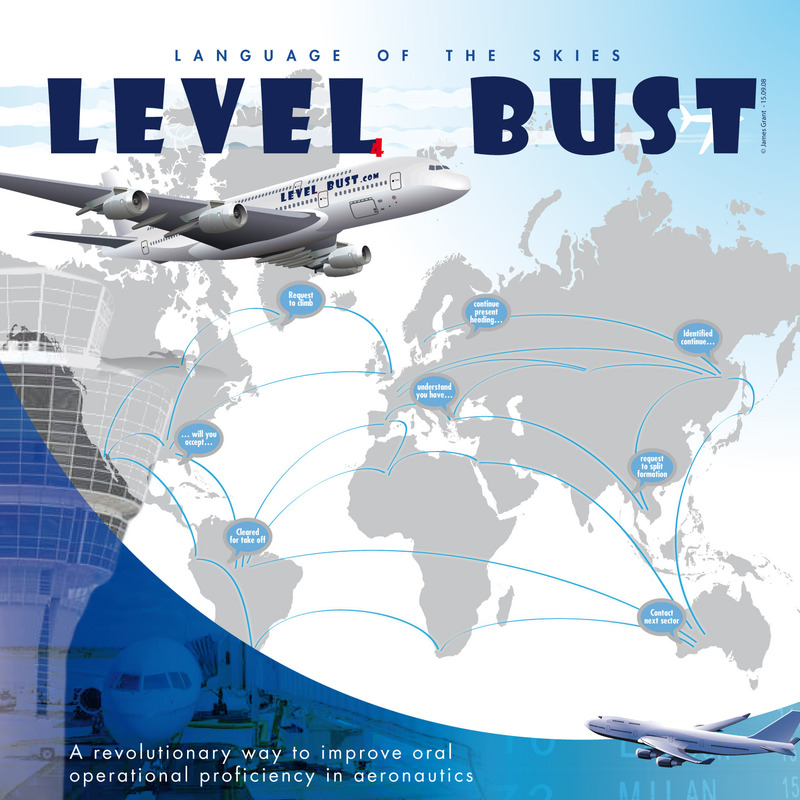 LEVEL4BUST is a quick thinking, fast speaking, interaction game related to the aeronautic environment. The game is designed to teach and practice operational fluency. With easy, familiar, unusual, difficult, funny and unfamiliar vocabulary this is the perfect activity to learn, revise, practice, maintain, extend and improve your English level in standard phraseology and the use of plain English in non-standard situations. The fun and challenge begins with the very first card read. The full game is played in three parts, the objective for each part is to move as rapidly along the gameboard from “DEPART” and climb to reach “WELCOME/DESTINATION” the first. To play as a vocabulary game (one round only) each player individually moves along the board with each correct answer. This is recommended if you want to study vocabulary, abbreviations, phraseology or specific themes only. However to play the full 3 rounds the game is best played in pairs or teams. Ideally players sit in a circle and team members sit opposite each other. One team member (reader) in rounds 1 and 2 must explain in words only what is written on the card. In round 3 the reader must include the word or phrase in standard phraseology or non-routine situations that can occur in the work environment. The reader’s explanation should try to remain in the aeronautical domain of the word (however this relies on the seriousness and level of the players). He/she must communicate verbally only and can not say/spell/mine any part of the word. The other team member’s task is to guess the correct word on each card. 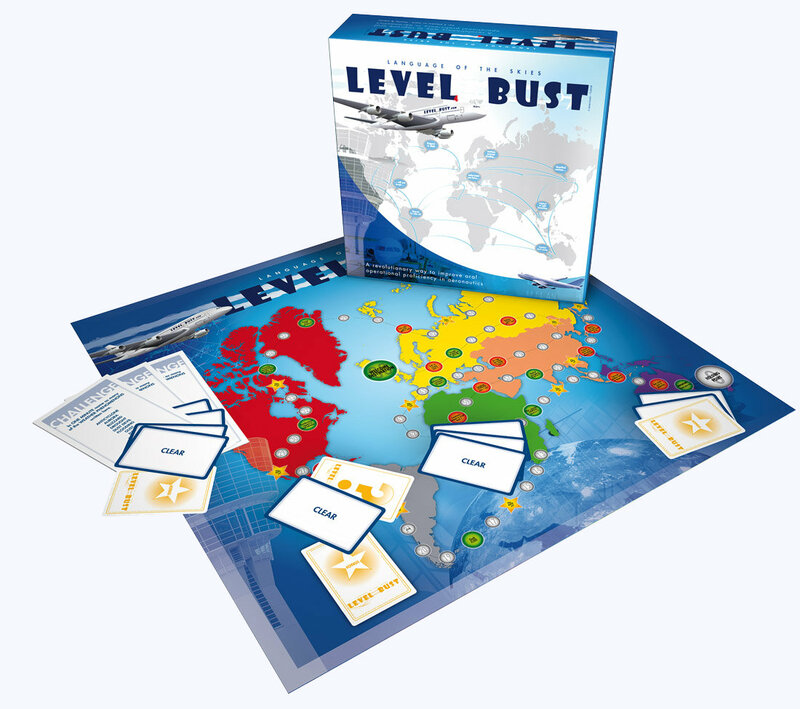 Althought LEVEL4BUST looks like a simple board game, it is a sophisticated and award-winning system which allows you to specifically learn to speak English. With a price of 110,00 €, you can lift your English proficiency to the required Level 4 standard in a short time. This price may sound rather high, however it is less than a normal flight hour and you will reach your desired goal.